Sisters Sheilah and Katrina Randall are quirky in the best sort of way. The Fairport pair host a monthly YouTube show called The Quirky Book Sirens, during which they discuss books, authors, and all things literary. The idea for the YouTube show came to the duo while discussing how to share their life-long chat sessions about the books they love with others who might be interested. They decided on a video platform rather than an audio-only show, because they felt that video would provide a more dynamic connection with their audience. “More and more these days people would rather watch than read — even bookish types like us. It allows for more engagement with our readers and allows for a more personal touch,” said Sheilah. Topics on their show have included a discussion of strong and confident heroines in their most beloved books as well as their favorite quotes from several new and classic works of fiction. 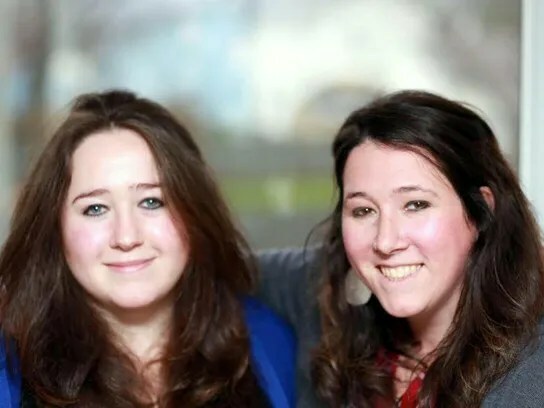 The sisters not only work well together because of their relationship as siblings, but their different media skills allow them to complement each other. Katrina is comfortable and adept at social media and graphic design, and Sheilah is a wiz with video and the technical aspects of recording the show.